Which iPhones do you fix? We currently fix the iPhone 4, 4S, 5, 5C, 5S, 6, 6 Plus, 6S and 6S Plus. 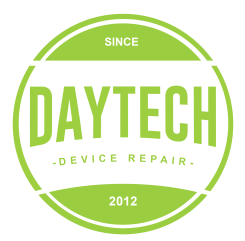 On each of those devices we fix a variety of different problems from cracked screens, to replacing batteries, fixing stuck or malfunctioning power buttons, non-working charging ports, and more. We have discontinued repairs on the iPhone 2, 3G & 3GS. All of our iPhone repairs are completed the same day, while you wait and are usually completed in less than an hour. Our most popular repair is the iPhone 5/5C/5S cracked screen and usually only takes about 15 to 20 minutes. The iPhone 4/4S takes about 35 to 40 minutes. Non-screen related repairs you can expect 45 to 60 minutes to complete, except of a battery replacement which will only take about 10 minutes. Which iPads do you fix? We currently fix the iPad 2, 3, 4, Air, Mini and Mini 2. The iPad Air 2 and Mini 3 repairs should be coming soon. Our main repair service for the iPad is the cracked front screen. We can also replace the LCD, buttons, charging ports and even the batteries on the iPad. How Long do iPad repairs take? All iPad repairs take about 3-4 hours to fix. In most cases we can do them same day but it really depends on how many iPads we have in house and what is wrong with your iPad. Which iPods do you fix? We currently fix the iPod Touch 4 and 5. Our main repair service for the iPod is the cracked front screen. We can also replace the LCD and battery on the iPods. We no longer offer repairs on the iPod Touch 1, 2, 3 or the classic and video iPods. How Long do iPod repairs take? All iPod repairs take about 1 to 2 hours to fix. In most case we can fix them same day but it really depends on how many iPods we have in house and what all is wrong with your iPod.